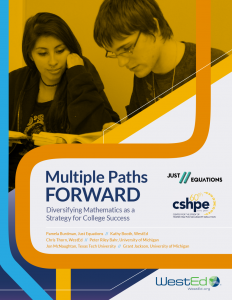 Multiple Paths Forward: Diversifying Mathematics as a Strategy for College Success outlines how colleges are creating math pathways that are aligned with students’ programs of study. Aimed at community college practitioners, this report provides the rationale for diversification, including statements by mathematics associations; definitions of math pathways and research on their impact; learning outcomes associated with specific math pathways; and an analysis of math course-taking patterns in California community colleges. 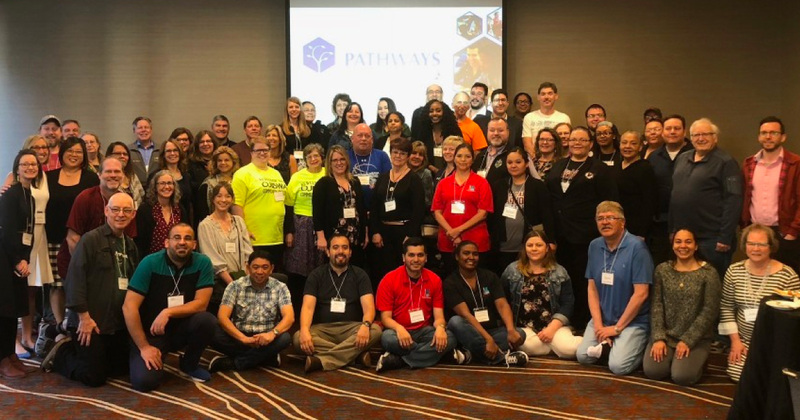 In addition to providing algebra-intensive pathways appropriate for STEM majors, many states have developed options in areas like statistics and quantitative reasoning. California has diverse college-level math pathways, particularly in the area of statistics — a quarter of students take a non-algebra math course that can be transferred as a general education course to a four-year university. However, most students never take these courses — almost half of students only get as far as remedial math. By ensuring that any prerequisite or co-requisite requirements are aligned with students’ major, colleges can ensure that students get farther in math and acquire the skills necessary for career and life.